The purpose of this post is to recap the most important points from recent Big Data in 30 hours Lecture 5. Vertices – Vertices denote discrete objects, such as a person, a place, or an event. Edges – Edges denote relationships between vertices. For example, a person might know another person, be involved in an event, and recently been at a location. Properties – Properties express information about the vertices and edges. Example properties include a vertex that has name and age. An edge, which has a time stamp and/or a weight. More formally, this model is known as a property graph. 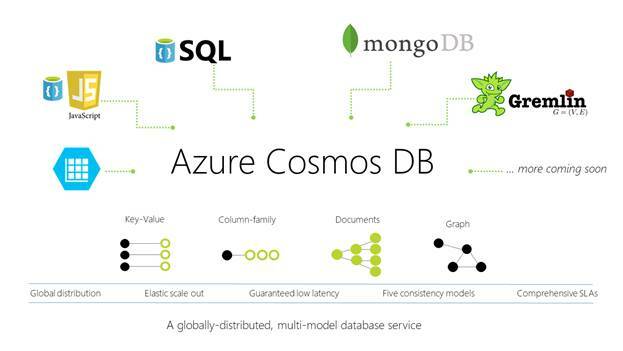 Azure Cosmos DB supports the property graph model. Apart from cases above, you generally might benefit from using Graph Database when dealing with highly connected data. If your data model looks more and more like a network of some sort you might consider using graph database. Another common indicator for possible graph database usage is when your SQL queries start to include multiple joins over many tables to get data for a single page or query result. An example might be a movie website that’s main purpose is to display data for specific movies, tv shows and the people connected to them. One movie can have multiple actors, that might act in different roles, many script writers, directors etc. Now if you want to generate a page for a single movie you have to join many tables at once, which will be slower and slower as your data grows, unless you decide to heavily index your data or use some sort of caching mechanism. When using Cosmos DB as your graph store it is important to always remember that we are not dealing with a true graph database. Underneath there is just a document (json) database. Because of that, we will encounter some limitations in terms of analytical capabilities. Use partitioned collection – using partitioned document collection is the most performant option of all, but only if you choose your partition key correctly(hot partition problem). Also, it requires more throughput as total RU/s will be split among the partition key ranges. If you use partitioned collection and you won’t run queries involving entire graph traversal you might consider using bidirectional edges. By default, Cosmos stores outgoing edges with the source vertex. If a vertex has only incoming edges then queries involving that vertex will be transmitted to the partitions from which the incoming edges came from.This creates overhead that is pricy in terms of Request Units/s. While placing bidirectional edge try to include as much data as part of edge properties as you can. Bear in mind that choosing what properties to include where(vertex/edge) should be done by analyzing what kind of queries you will run in your graph. Remodel your data – You have no idea on how big performance boost you can gain if you redesign your graph schema. Don’t use big documents, if you have a vertex that has a list property change that list into other vertices. Place some of the data on the edges rather that create another vertex. This will limit your graph traversal overhead as you won’t need to go through the edge to get to the data.You just need to go to the edge. If you don’t need all that options there are other databases you might try e.g. Neo4j. 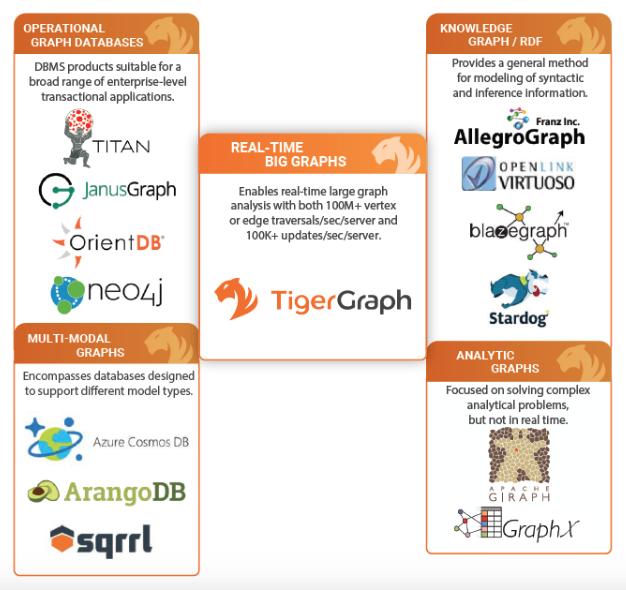 If you really want to unlock the analytical capabilities not seen before with highly connected data you should try TigerGraph. The first system capable of real-time analytics on web-scale data. Supporting real-time graph updates and offering built-in parallel computation. Offers SQL-like graph query language (GSQL) that provides ad-hoc exploration and interactive analysis of Big Data. If we have terabytes of highly connected data, we might want to run our analytics with TigerGraph. Because it’s written in C++ and optimized for parallel query execution, we will experience performance boost unseen and unobtainable by other graph databases. You can go ahead and download TigerGraph for free (https://www.tigergraph.com/download), download for example the Twitter dataset (42M vertices, 1.5B edges, around 24GB in size) and see how fast the queries will perform. You can also generate synthetic graphs using scripts provided by TigerGraph’s team. If it comes to Big Data, then to my knowledge, no other graph database can handle real time analytics as well as TigerGraph. You can go to their website and download pdf with benchmark results against other popular graph databases (https://www.tigergraph.com/benchmark).You can find benchmarks against Cosmos DB on their github repo (https://github.com/tigergraph/ecosys/tree/benchmark/benchmark/cosmosdb). In conclusion graphs are great for querying highly connected data. However most of currently available graph databases are not suited for Big Data. TigerGraph brings us closer to real-time analytics on truly big graphs. Until an open-source solution appears, TigerGraph will be the default choice for many companies.